The joint management of the River Murray dates back over 100 years. The 1914 agreement between New South Wales, Victoria, South Australia and the Australian Government to jointly share the waters and build the dams, weirs and locks of the River Murray is the foundation of modern River Murray operations. Today the arrangements for managing the River Murray are set out in the Murray–Darling Basin Agreement. The Basin states and the Australian Government are all signatories to the agreement and contribute funding to the joint management of the River Murray based on each state's level of water use. directing the operations to meet the state's needs. 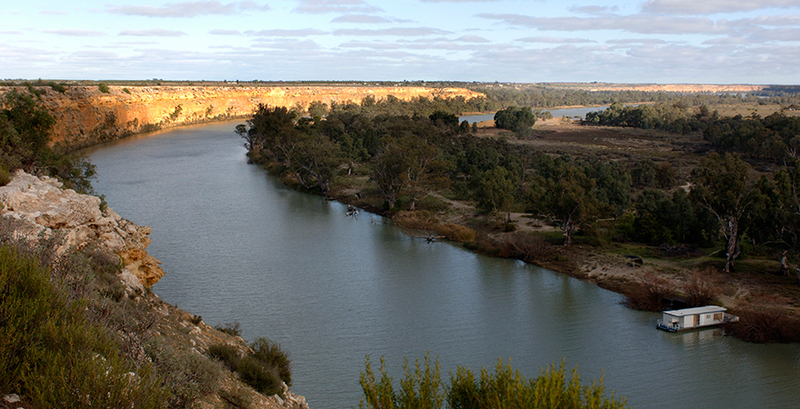 The Murray River between Purnong and Swan Reach in South Australia. the Darling River downstream of Menindee Lakes. The system extends into South Australia and includes the weirs and locks in South Australia and the Lower Lakes Barrages near the mouth of the River Murray. However, this part of the river and the regulating structures downstream of the South Australian border are managed on a day to day basis by South Australia, with collaborative input and advice on the expected impacts of upstream operations provided by the MDBA. The system's regulating structures allow us to store water during wetter times, release water from dams and manage the level of weir pools along the river. This is critical in maintaining river flows and ensuring water can be delivered where and when it is needed. We work in close cooperation with state government agencies in New South Wales, Victoria and South Australia to run the River Murray System to ensure reliable water supplies for communities and the environment. We are responsible for overseeing the construction, operation and maintenance of the physical assests–the dams, weirs and locks used to store water and regulate flows in the River Murray system. Along with overseeing the maintenance of the four main storages, locks, weirs and barrages we also oversee the investigation, design, construction, operation and maintenance of major engineering structures or works, including environmental flow structures, salinity mitigation schemes and fishways. preparation of assessments of asset condition. The Senator JS Collings Trophy is awarded annually to the most effectively maintained asset in the River Murray system. The award was established to acknowledge the contribution made by lock managers and their staff in taking good care of the weir and lock structures, and in making improvements to their surrounding areas–including beautification schemes and bank protection works. The task of operating the River Murray system involves on-going analysis, planning, communication and day to day and longer term decision–making. We operate the system on behalf of a 'Joint Venture' comprising the states of New South Wales, Victoria and South Australia, and the Australian Government (Basin governments). We do not 'control' the assets or 'own' or allocate the system's water. We have instead been appointed to direct the system operations in accordance with the arrangements set out in the Agreement. More detailed requirements are contained within an objectives and outcomes for river operations document. This document has been agreed by the states and the Australian Government through the Basin Officials Committee (BOC). These arrangements ensure water is shared equitably in accordance with a long-standing approach agreed between governments, to support the reliable supply of water for communities and the environment across the three states through which the system flows. A set of engagement and review processes by the Basin governments include routine discussions with government and agency representatives and an annual review by a group of independent experts on river operations. This enables the Basin government's mechanisms to provide feedback on our operating approach and forums to discuss any issues that arise. Key aims include reaching consensus on major decisions, balancing competing requirements, and examining ways to improve operations and adapt to changing conditions over time. In operating the River Murray system, we must take account of and accommodate inflows from a number of tributary river systems. These inflows provide a vital component of the River Murray system's total flow and add flexibility and reliability to overall operations. However, importantly, our operations role under the Agreement does not extend into any of these tributary systems nor to any river systems that flow through other parts of the Basin. This responsibility lies with the relevant states, and operations on these rivers are undertaken by their water agencies. inflows from the lower Darling River during periods when the MDBA has no right to direct releases from the Menindee Lakes. Inflows from the Snowy Mountains Scheme provide additional flows transferred to the River Murray system from the Snowy River catchment (outside the Basin). The reliable nature of these transfers means they are especially valuable to protect the Murray against the impact of drought when Murray catchment inflows drop very low. Inflows from the regulated tributaries can also play an important role. For example, the flows include water traded by entitlement holders from these tributaries to the River Murray System that is managed to improve overall system operations. This 'Inter valley trade' or IVT water can greatly assist in meeting peak summer and autumn demands downstream of the Barmah Choke. A key part of our responsibility is to determine and regularly update how much of the total water in the system at any given time belongs to each state. The rules of this water sharing form part of the Agreement. To determine the shares, we must track or 'account' for the total amount of water in the system (total system water) including stored and 'in transit' volumes, as well as transmission and evaporative losses. We also track usage in each of NSW and Victoria. 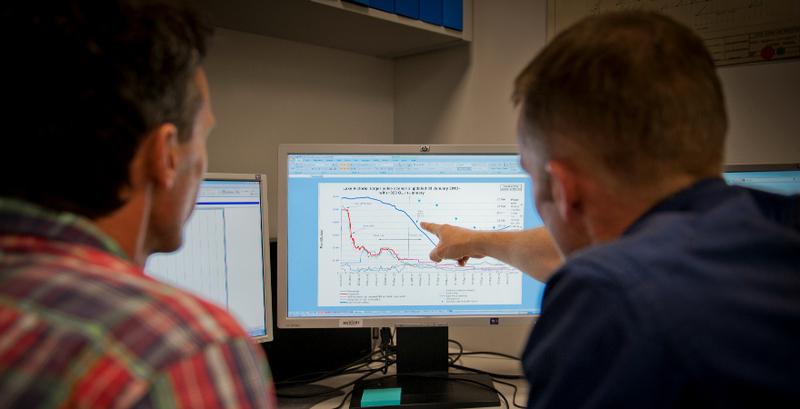 This 'snapshot' of current water resources allows us to undertake a regular assessment of how much water is likely to be contained within the system during the coming months under scenarios that range from very wet to very dry. This forward looking analysis uses forecast inflow, loss and usage statistics to assess what the likely minimum amount of water will be for each state in the forecast period. We routinely advise the states of current water shares and the latest very dry assessment of likely water availability for the current year. States then use this advice to help them determine water allocations for Murray valley water entitlement holders. We use computer simulation models that draw on a range of data sources including gauges that measure rainfall, river and storage levels and water quality to help inform daily water release decisions, manage stored water and ensure we deliver water where and when it is needed. When making operational decisions we exercise judgement and learn from historical operations. We take into consideration many factors including flow and level targets, weather and climate forecasts, water quality, water level changes, evaporation and the river's capacity to carry flows. Water releases and target levels are reviewed on a daily basis, and any necessary changes are implemented at the relevant structure by Basin state agency staff in accordance with our direction. We prepare and are guided by long-term strategies and plans, including an annual operating plan that considers the system's objectives and risks up to two years into the future under a wide range of possible climate and demand scenarios. An important aspect of this work is to understand how the system can be operated efficiently and effectively under dry and extreme dry scenarios to ensure we are as prepared as possible for the inevitable return of drought conditions. limit flood damage to downstream communities and increase benefits to the environment and public amenity. The growing role of environmental water–including within the on-going implementation of the Basin Plan–is expanding our focus, shifting the patterns and timing of water use and evolving the way system operations are undertaken. We work collaboratively with other water management agencies in this endeavour and our role includes the provision of advice, cross-system and tributary co-ordination and the delivery and accounting of environmental water. Our River Operators consider a number of scenarios when running the river. Along the River Murray system, there are a number of locations (such as the Barmah Choke) where the river channel capacity is naturally restricted. Flows through these parts of the river need to be limited if all the water is to remain within the river's banks. As overbank flows increase in magnitude, there may be significant social, environmental or efficiency impacts depending on their duration and the time of year they occur. Overbank flows occur naturally (typically in winter and spring) as a result of periods of wet weather and are critical to the on-going ecological health of the riverine environment, including connected wetlands and forests. Channel capacity limitations are a major influence on the System's operating approach, and require extra attention on the need to understand and anticipate downstream demands well ahead of time. To ensure access to water in the lower system, additional storage releases are sometimes necessary several months in advance to transfer water downstream at rates below channel capacity. When deciding to release water we must factor in how long it takes flows to travel* from the storages to the lower reaches of the system. For example, it takes around a month during non-flood (or 'regulated') flow periods for changes made to releases from Hume Dam near Albury to be seen in the river at the South Australian border. During this time, the variation in factors that affect flows such as weather conditions, water demands, tributary inflows and evaporation are never certain. This adds considerable complexity to operating decisions and the process of determining and planning for storage releases. In times of floods, when water spreads out into large floodplain forests, travel times can slow to about six weeks or longer and system responses are even less certain. To obtain forecast information about the river during these periods, we advise the community to refer to Bureau of Meteorology flood warnings, which are based on current, best available data and the latest weather forecasts. *'Travel times' refer to the wave-like rise and fall in river levels that occur as flows increase and decrease from upstream to downstream. These flow travel times are significantly shorter (i.e. quicker) than the time taken for the molecules of water, or salt, to move down the river.